Nithiin’s next film to highlight this important social cause? 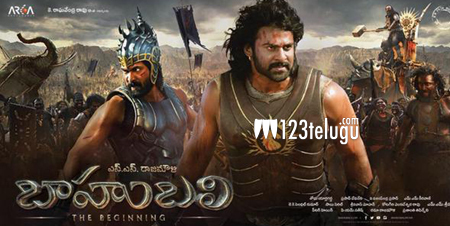 SS Rajamouli’s visual wonder, Baahubali, has been creating tremendous records of all sorts with its mind-boggling collections all over the world. Already, it has surpassed many Tollywood biggies and it has took the overseas box office by storm. We are in regular contact with the distributors from all the areas and updating the genuine collections. So keep visiting 123telugu for more exclusive updates on Baahubali collections.